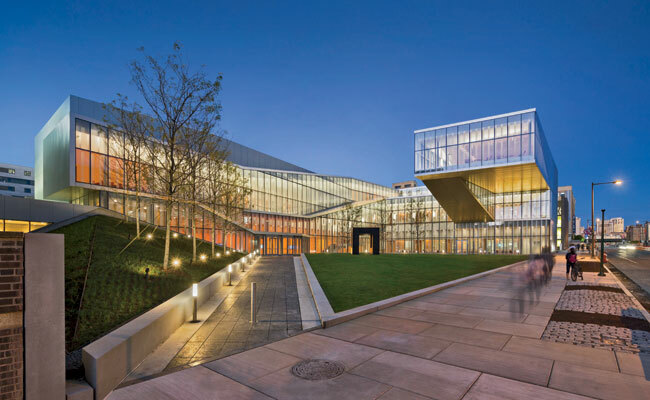 Yesterday was a big day for about thirty architectural practices in NY, as the AIANY 2015 Design Awards winners were announced at the Center for Architecture. With that many winners to congratulate, the celebration had to be fast paced and condensed. We had an image for each honoured entry and members of the jury would quickly explain what they liked about the project. This award celebrates a variety of different styles. Every project is very well realized, with very neat details, but the quality of architecture is also judged upon its ability to engage in contemporary debates such as public space, community involvement, affordable housing, resiliency, and so on. National September 11 Memorial Museum, New York, NY, by Davis Brody Bond. The project, in a sensitive context, manages to develop a very qualitative space, namely in terms of materials and light. 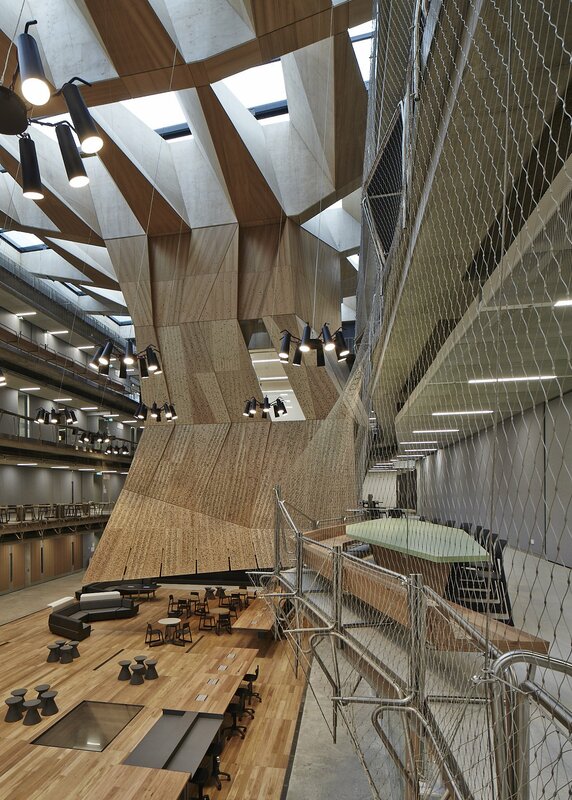 Melbourne School of Design, Melbourne, Australia, by NADAAA and John Wardle Architects. In this building, a lot is happening, the questions is where to stop?! Vakko Fashion Center, Istanbul, Turkey, by REX. 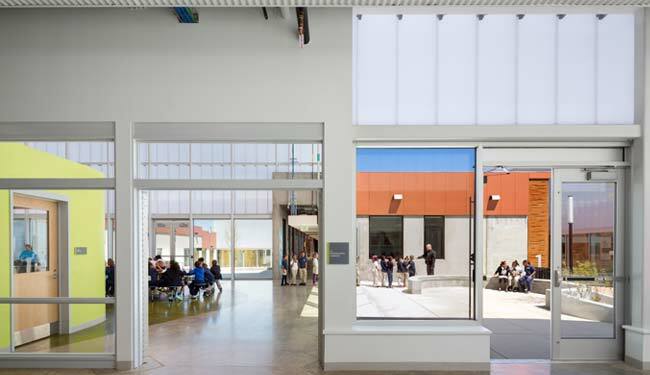 This building integrates structure, program, materials, and transparency matters all in one. Henderson-Hopkins School, Baltimore, MD, by Rogers Partners. 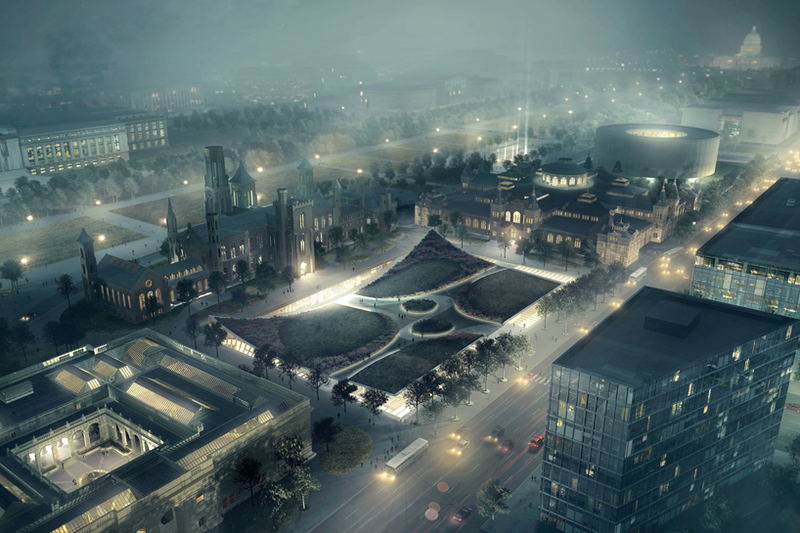 The architects were appreciated for rewriting the program to include public spaces. Songpa Micro Housing, Seoul, Korea, by SsD. These micro units address a real urban problem, social and economic concerns producing spatial and material quality, offering an effective solution. 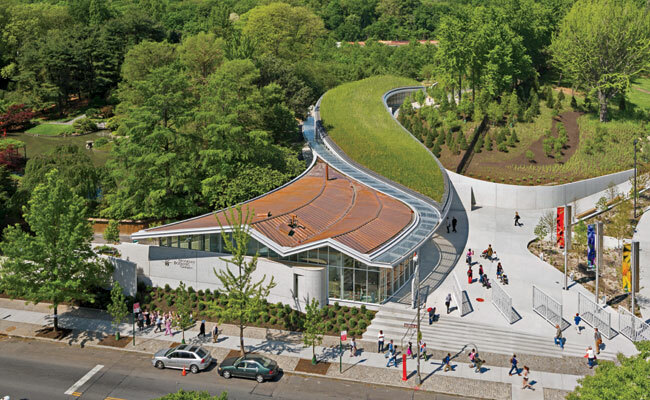 Brooklyn Botanic Garden Visitor Center, Brooklyn, NY, by Weiss/Manfredi. Landscape and building fuse together to create public space. Krishna P. Singh Center for Nanotechnology, Philadelphia, PA, by Weiss/Manfredi. 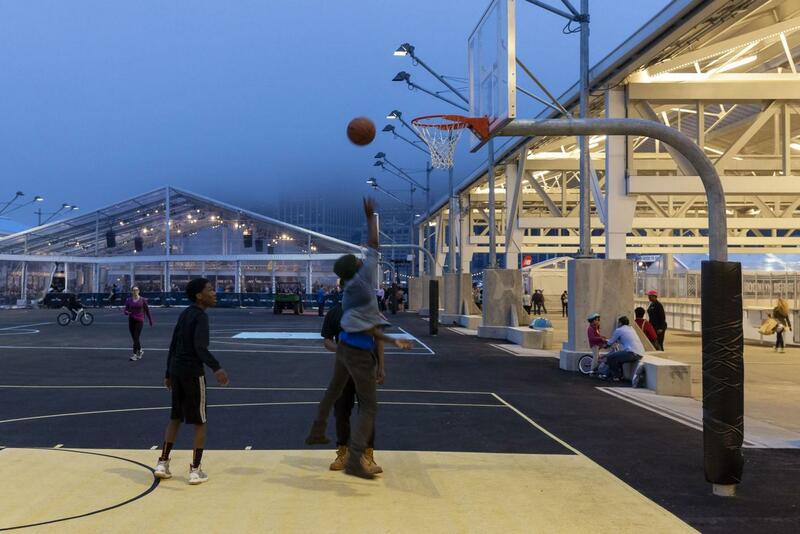 With an unexpected set back, the project offers a generous public space. 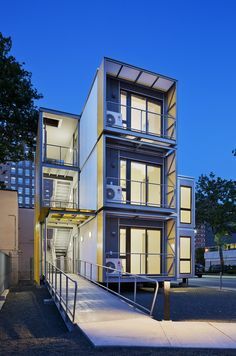 NYC Emergency Housing Prototype, Brooklyn, NY, by Garrison Architects. Here is an intervention in the debate of affordable and emergency housing. 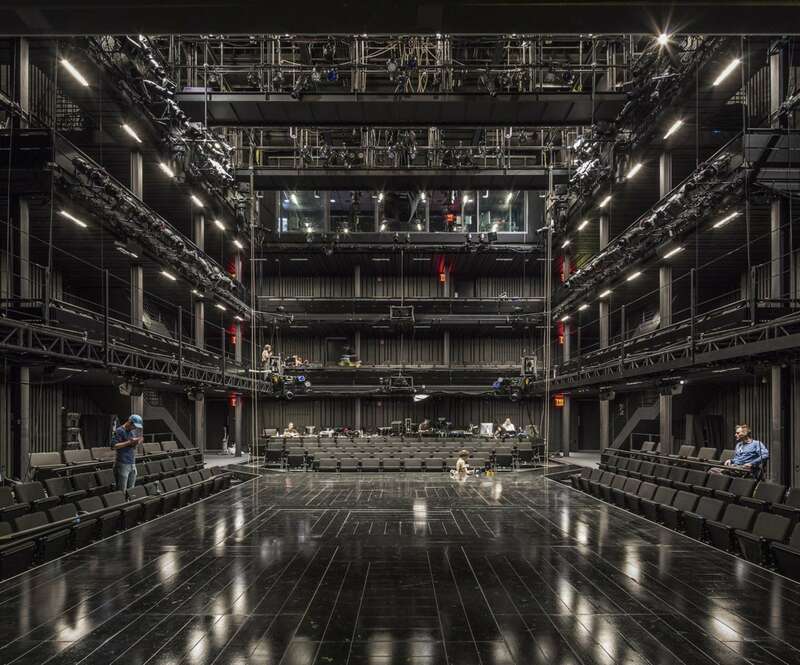 Theatre for a New Audience at Polonsky Shakespeare Center, Brooklyn, NY, by H3 Hardy Collaboration Architecture. The space is flexible and beautiful, doing perfectly what it has to do. 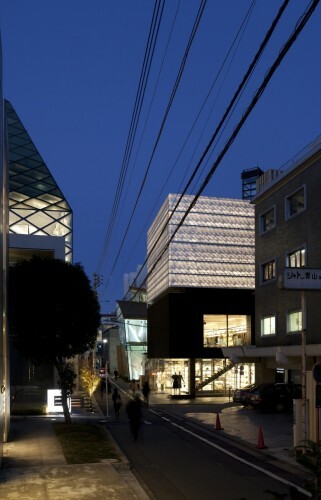 Toroishiku (Marc Jacobs Building), Tokyo, Japan, by Jaklitsch / Gardner Architects. The project fits well into its street scape. It is contextual and contemporary at the same time. 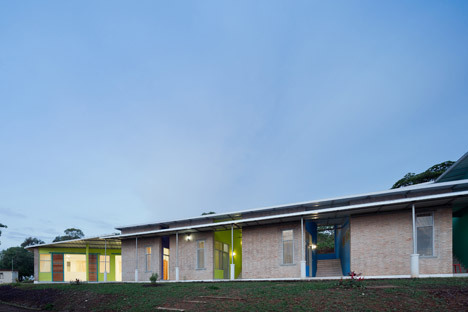 Village Health Works Staff Housing, Kigutu, Burundi, by Louise Braverman.It is a modest intervention but real rethinking of local typology, namely in terms of interaction of public and private spaces. Pier Two at Brooklyn Bridge Park, Brooklyn, NY, by the architects Maryann Thompson and Evan Mathison. Exactly the right level of design needed was achieved here. The program developed is also a sign of an envisioned agenda. 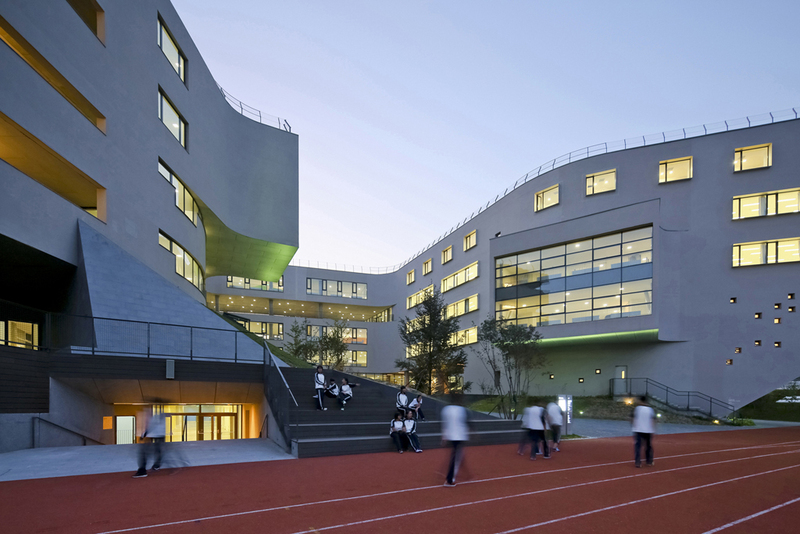 Garden School, Beijing, China, by OPEN Architecture. The architects achieve a unique building with minimum means. A subtle design creates very different spaces. 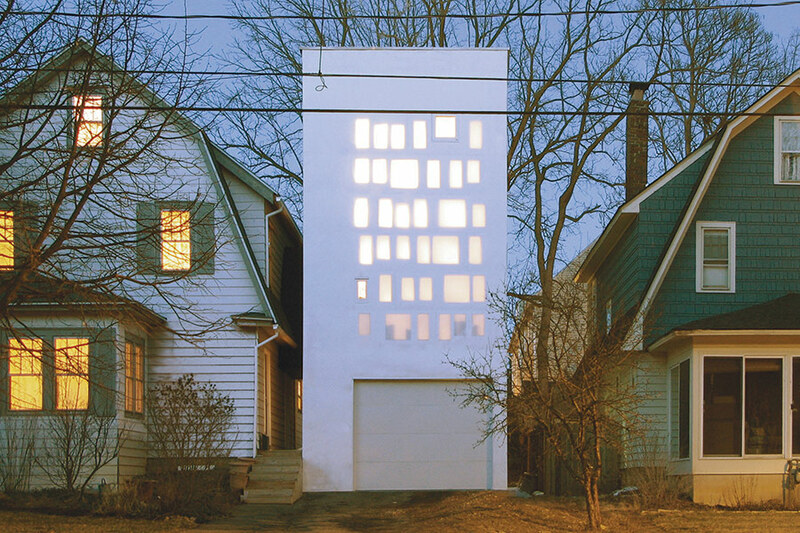 Haffenden House, Syracuse, NY, by PARA-Project. 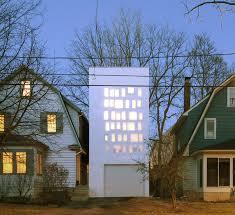 This mysterious house challenges its neighborhood and achieves a beautiful balance. 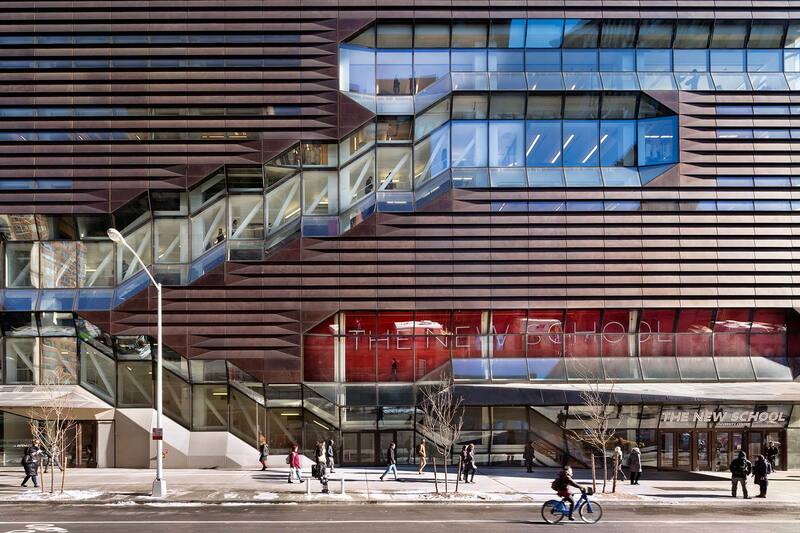 University Center – The New School, New York, NY, by Skidmore, Owings & Merrill. This building hosts different programs. It is a contemporary building which is not all in glass! Above alll, it continues the street movement, and features a very creative circulation system. 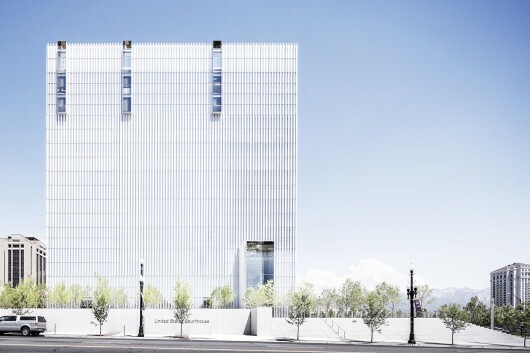 United States Courthouse, Salt Lake City, UT, by Thomas Phifer and Partners. Consistent with its formal goal, the building has a clear language, is a beautiful object, and presents materials that express self examination that you can experience in this type of program. There was a virulent debate about this building because it rises the question of how to present Justice. 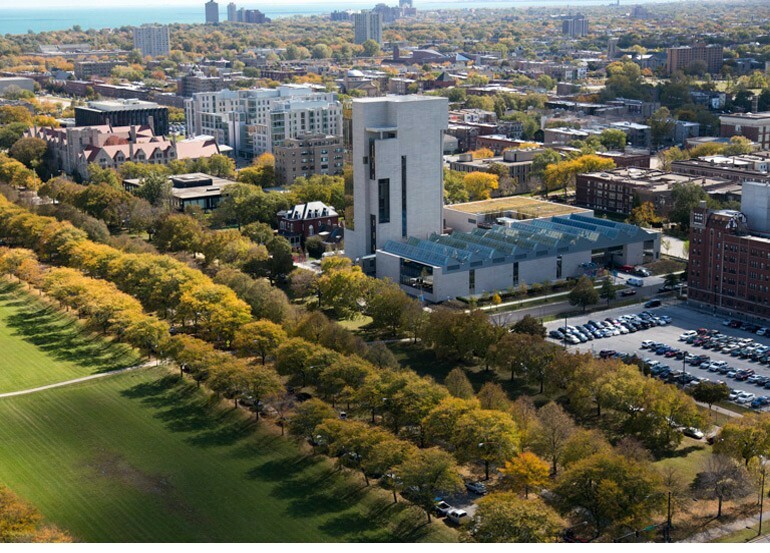 Reva and David Logan Center for the Arts, Chicago, IL, by Tod Williams Billie Tsien Architects. The project category includes different scales, unbuilt projects, design processes, … It rewards more global approaches. Rethinking Refugee Communities, by Ennead Architects. This project is more about institution, ethics and social responsibility of architects. See more here. Hy-Fi, Queens, NY, by The Living. 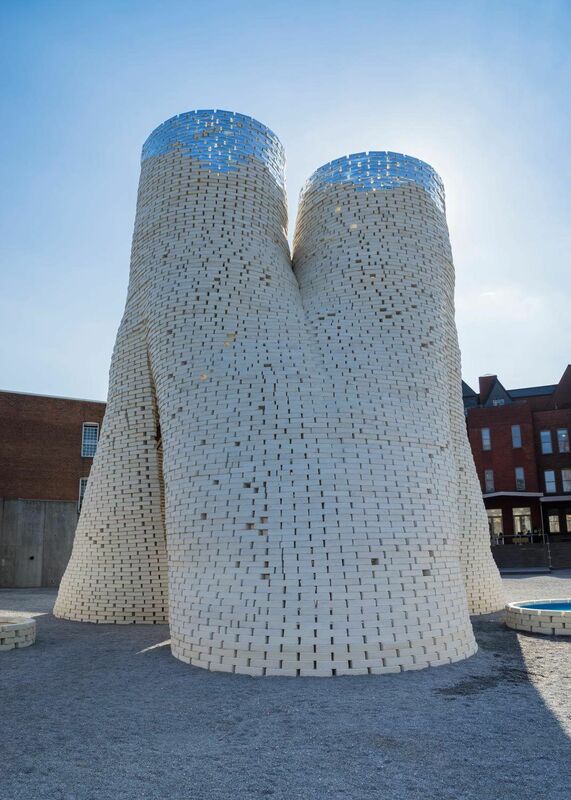 This installation from the MoMA PS1 Young architects program is a research work that speaks through and opens new doorways for architecture. 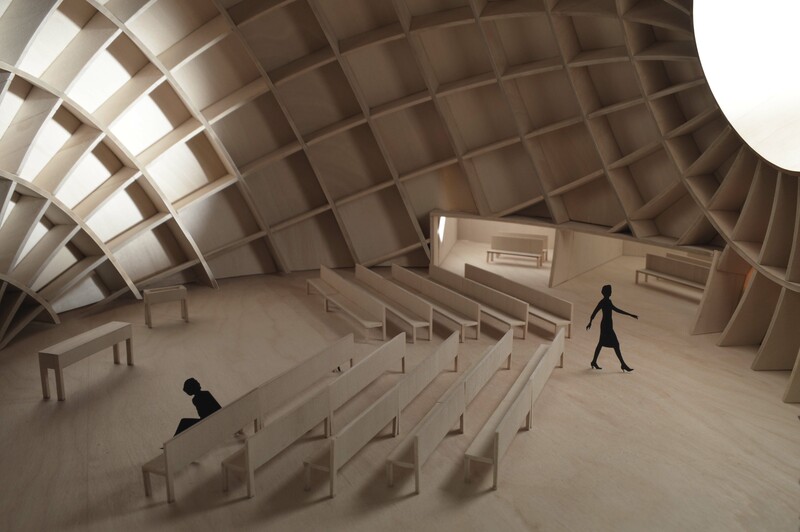 Governor’s Cup Pavilion, New York, NY, by CDR Studio. 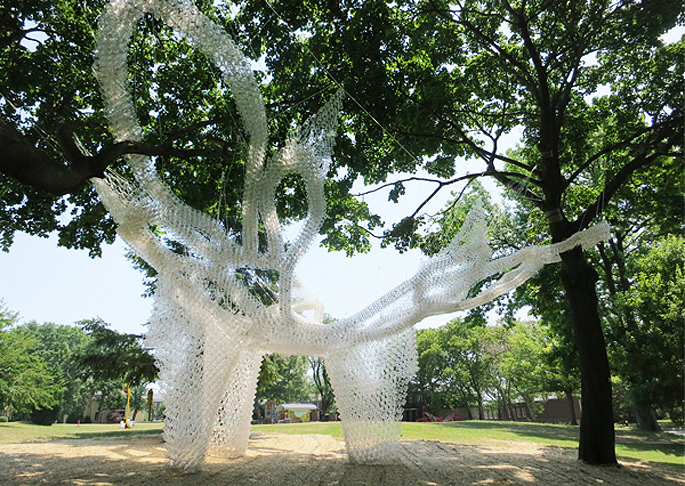 This projects talks about a collective action and responsible recycling. 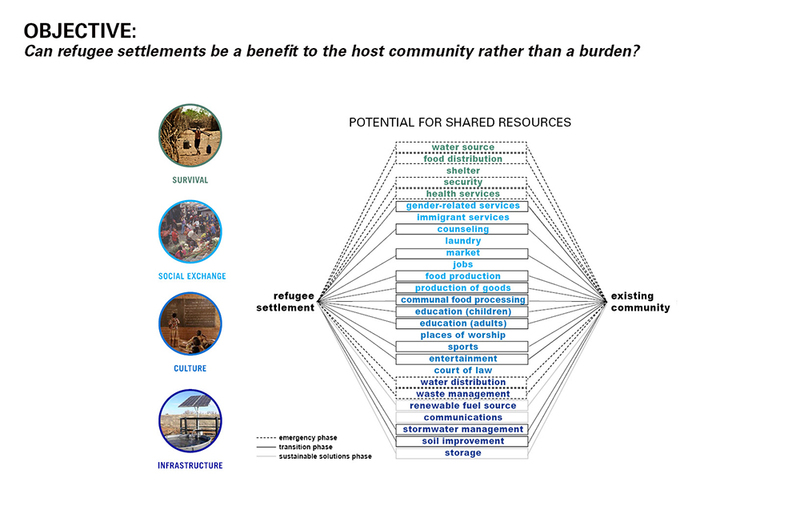 It is in a way an ideal architecture, product of community concern. Church in the Arctic, Tana Bru, Norway, by OBRA Architects. This church takes advantage of the low sun of the region. 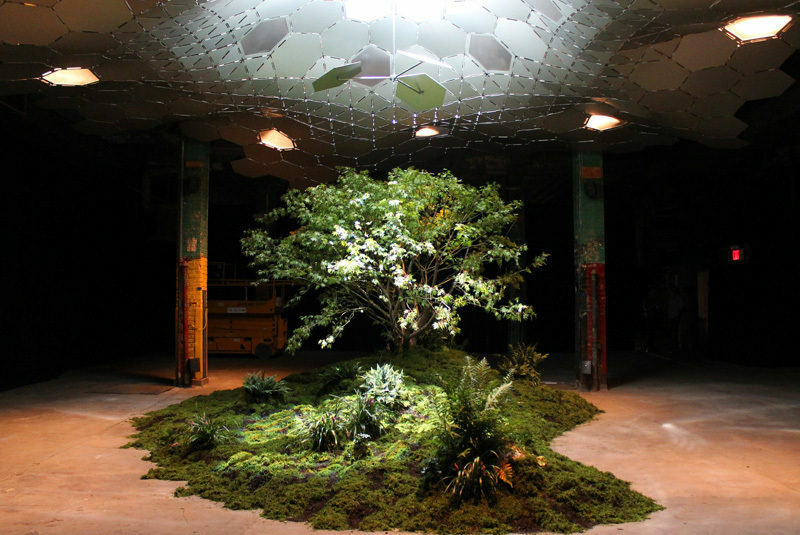 The Lowline, New York, NY, by raad. This projects developed light collectors technology. What is also interesting is this different levels approach, with light coming from the street to the underground level. Learn more about this great project here. Beijing Horticultural Exposition Masterplan and Pavilions, Beijing, China, by WORK Architecture Company, SCAPE, SLAB and Studio Zhu Pei. Lifecycle is considered here and important questions about the future of cities are tackled. 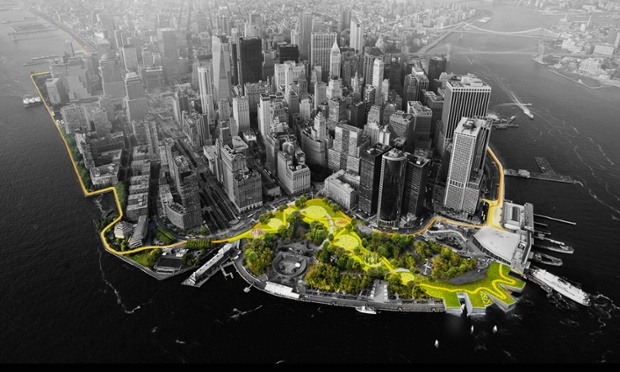 The Dryline, New York, NY, by BIG – Bjarke Ingels Group. This project is transformable and triggers different programs and events. Nine by Eighteen (9×18), New York, NY, by Sagi Golan and Peterson Rich Office. Here is a good idea that brings solutions to a real urban problem. The future depends less on buildings and more on space around the buildings, on the social fabrics of the city. The QueensWay, Queens, NY, by WXY architecture + urban design and dlandstudio Architecture + Landscape Architecture. 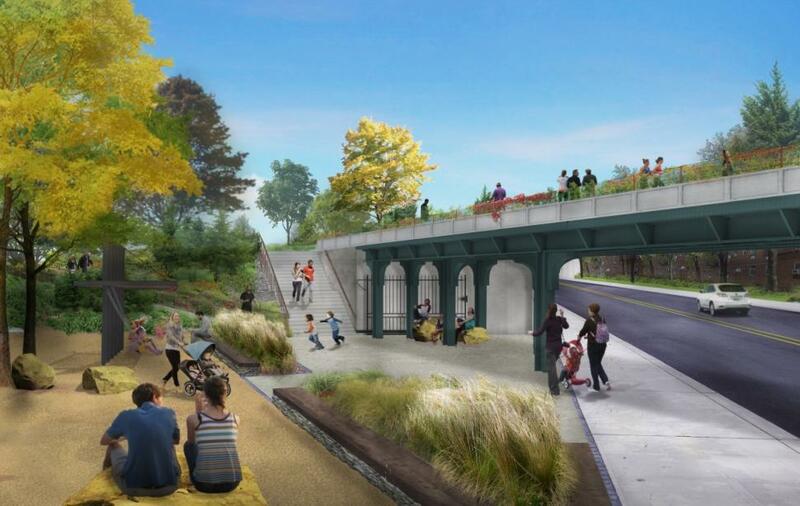 This project is a much less designed approach of the High Line, and is valuable to rebuilding a scattered community. To know more about this project, see here the report of a previous conference about it. Finally, the very best project in competition chosen was SsD’s Songpa Micro Housing in Seoul, Korea, because the survival of the individual depends on the health of the community and the micro units address this question of the place of the individual within the community. did you realize that you left out the Architecture Merit Awards section? There is an Architecture – Merit Awards section in my post. How do you mean?